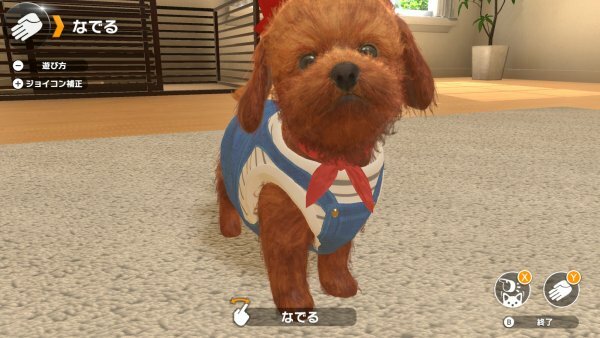 Imagineer's pet raising and simulation game for Switch. 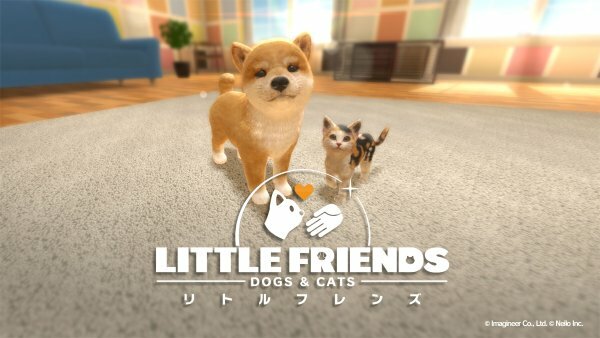 Imagineer has released the first official information and screenshots of its newly announced pet raising and simulation game Little Friends: Dogs & Cats, which is due out for Switch on December 6 in Japan. 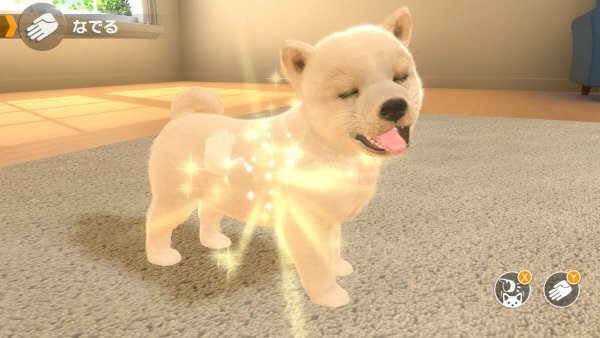 Little Friends: Dogs & Cats is a game in which you can spend each day with dogs and cats with lifelike expressions and behavior. 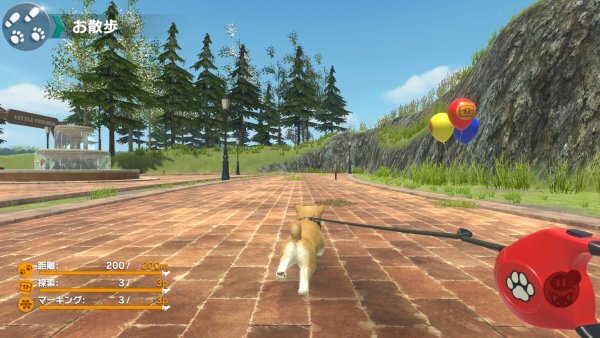 Dog and cat raising simulation games are a popular genre, but this title implements new forms of communication by making full use of the features and faculties of Nintendo Switch. 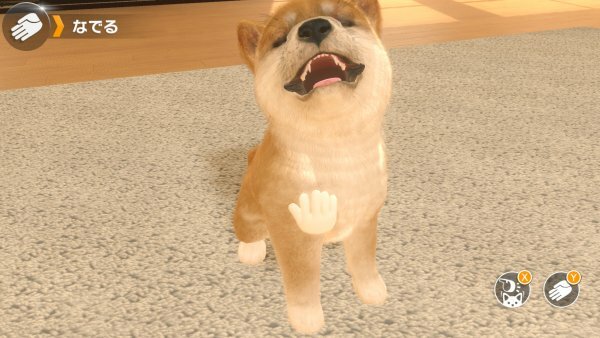 In addition to detailed visuals including modeling, animation, and fur, you can enjoy the feeling of true interaction with dogs and cats through HD Rumble. 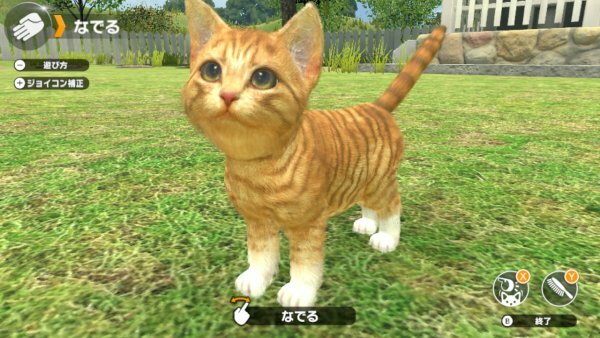 The game features popular breeds of dogs and cats from both inside and outside of Japan. There are more than 40 hair color and pattern variations for each breed, as well as different personalities and animal cries. 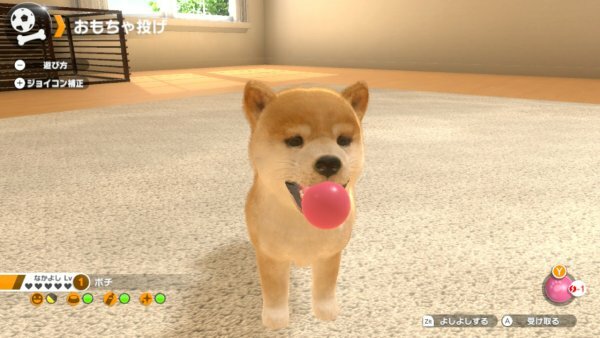 Through the vibration transmitted through the Joy-Cons and direct communication via touch panel controls, you can enjoy the feeling of true interaction with the dogs and cats. Touch them, pet them, pull their cheeks, feed them, or play ball. 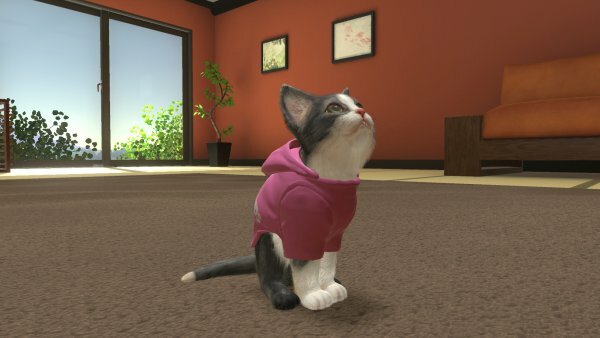 Getting to know them through various means of interaction and seeing new behaviors is one of this game’s key features. 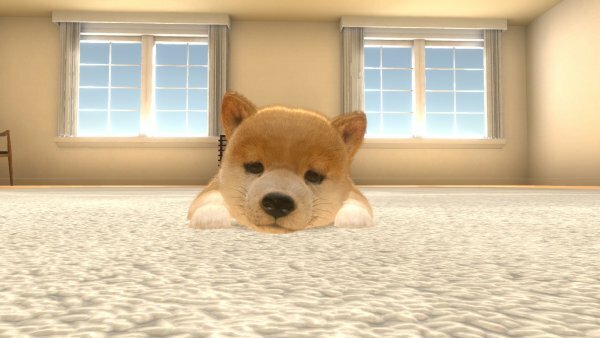 You can freely customize the design and layout of the room you share with your animal. Over 600 costumes and accessories are also being prepared. 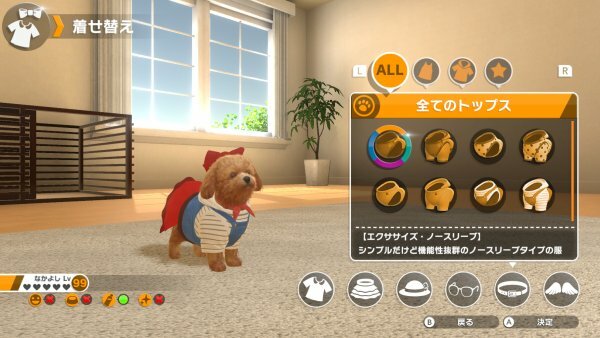 You can also take screenshots of your favorite rooms and costumes and easily post them to social media using the built-in functions of Nintendo Switch.